At True & Dorin, we offer a full range of advanced hair loss treatment options that are proven to be safe, effective, and reliable. We are committed to integrating only those treatments that we feel will produce the best results for our patients into our practice; by the same token, we refuse to cut corners or compromise the quality of our care by jumping on bandwagons or offering dubious technologies. Our hair loss experts are esteemed by their patients and peers alike for good reason, and they welcome the opportunity to demonstrate to you why they are held in such high regard. 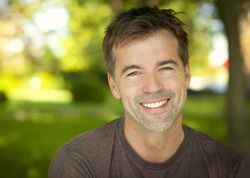 Modern hair transplantation has developed to the point that most patients opt for the procedure using either the follicular unit transplantation (FUT) or the follicular unit extraction (FUE) technique. Both techniques produce excellent, aesthetically pleasing results. However, some of our patients prefer not to undergo hair transplant surgery and wish to learn as much as they can about alternative methods of hair restoration. We are only too happy to accommodate these patients by providing them with details about hair transplant alternatives during consultations at our office in New York. Hair transplant alternatives include such time-tested medical therapies as minoxidil, as well as promising modern non-surgical approaches such as platelet-rich plasma therapy. Are you wondering whether hair transplant surgery or one of its alternatives is right for you? The best way to find out is to meet with either Dr. Robert H. True or Dr. Robert J. Dorin at our state-of-the-art hair loss clinic today. Platelet-rich plasma therapy: This is the latest technology in hair restoration to become available at True & Dorin, and we are absolutely excited about the promise it shows. Your own blood will be used in the procedure; we will extract it and process it so that a portion contains a high concentration of platelets. This portion will be strategically injected into areas of the scalp where hair is thinning. While this is not an effective therapy in patients who have already lost their hair, results have generally been good in patients with thinning hair. Micropigmentation: This specialized tattoo technique simulates the appearance of hair in men who shave their heads and want to create the illusion that there are no bald patches in their scalp. Minoxidil: Sold under the trade name of Rogaine, minoxidil has proven to be reasonably effective at slowing hair loss in those who have just begun to lose their hair. Hair re-growth is rare, and it generally only occurs at the hair line. Any benefits produced by minoxidil will be lost once you stop using the medication. Finasteride: Sold under the trade names of Propecia and Finpecia, finasteride has a wider range of applications than minoxidil; however, it is also more expensive and must be used indefinitely to maintain results. Laser therapy: Non-invasive laser therapy may increase the thickness of hair shafts, but does not stop hair loss or promote the growth of new hair. To learn more about hair transplant alternatives, please contact True & Dorin today.